A requirement for the simultaneous construction of twin bridges and their abutments on the new US$327-million Abu Dhabi-Dubai highway has been met through innovative formwork design. Mabey Hire has introduced a complete environmental monitoring system that can deliver live sensor data and alerts from the construction site. The 2,000t double arch of the new Walterdale Bridge in Edmonton, Canada was lifted into its final position last month (April) after a complex series of operations that began last year. 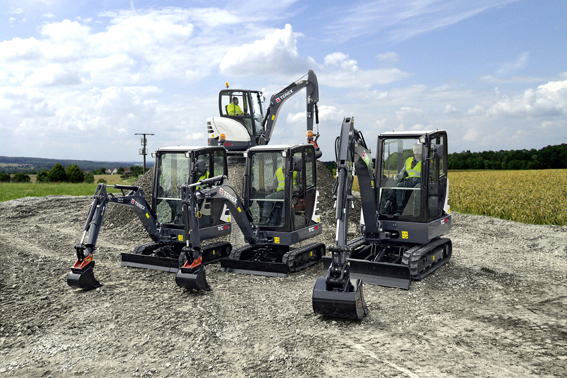 Terex Compact has announced that it will launch six new mini excavators from 1.4t to 3.7t at this year’s Bauma exhibition. Lanes Group has won a contract to deliver specialist drainage services for the joint venture constructing the New Wear Bridge in the UK. The contract to supply welding consumables for the Queensferry Crossing in Scotland has been awarded to ESAB. Atlas Copco has extended the power range of its popular QAS series of generators with the addition of the QAS 630. Specialist bridge construction Mecanotubo has produced its own Movable Scaffolding Systems.